Location: Alpha-Quadrant Span: 2. Points: 30. 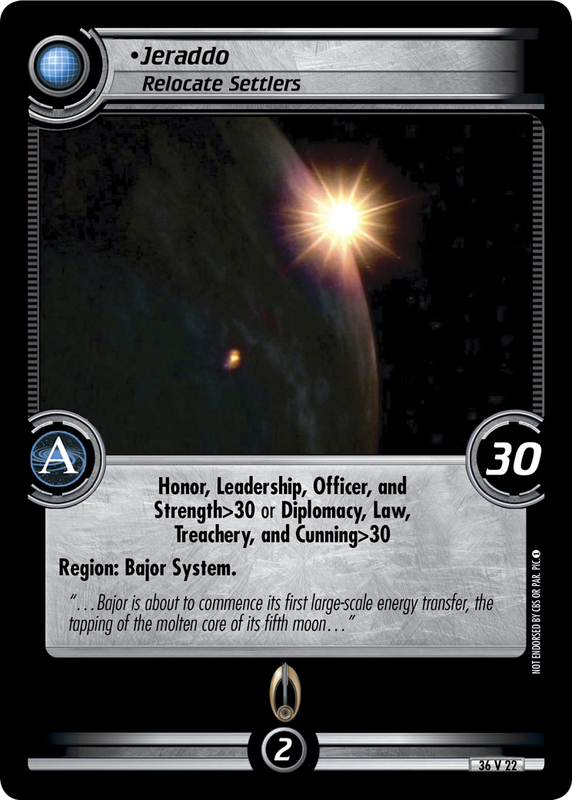 "...Bajor is about to commence its first large-scale energy transfer, the trapping of the molten core of its fifth moon..."
Characteristics: Alpha quadrant mission, Bajor System, STRENGTH Missions, planet mission, worth 30 or less points, worth 35 or less points. Card logging info: First edited by Telak at Apr 12th, 2016. Please support openCards and validate game text of this card!